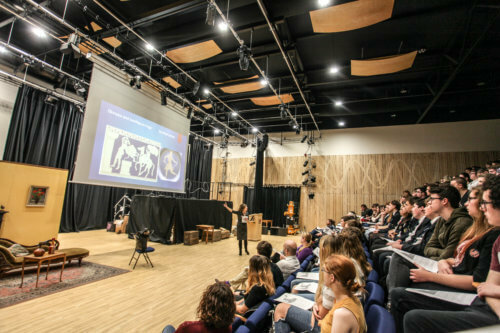 On Wednesday, the Classics Department organised a double Classics Conference. 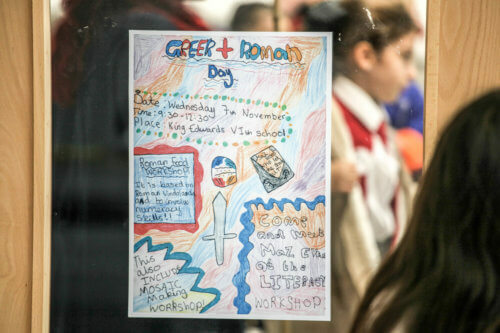 In the morning, Greek and Roman workshops took place for seventy-five local primary school children and these included a literacy workshop given by Maz Evans, author of “Who let the gods out?”, a Roman food session during which pupils were able to taste delicacies such as fish sauce, moretum, olives and apricot sauce, and a mosaic-making workshop. The pupils were arranged into legions and enjoyed marching with their standards between the different activities. 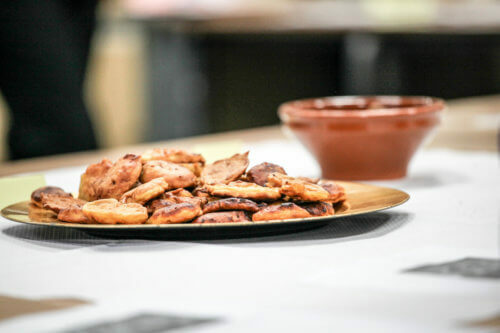 Meanwhile, three lectures were provided for the older students. 160 delegates attended from a variety of local schools and colleges. 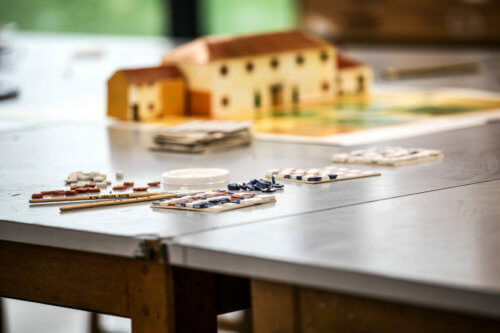 Lectures on Greek Theatre and the Augustan Mausoleum were given by Professors Edith Hall and John Pearce from Kings College, London and Professor Amy Smith from Reading spoke on Art and Athenian Democracy. All topics linked into the A Level Classics course and students found them very useful.